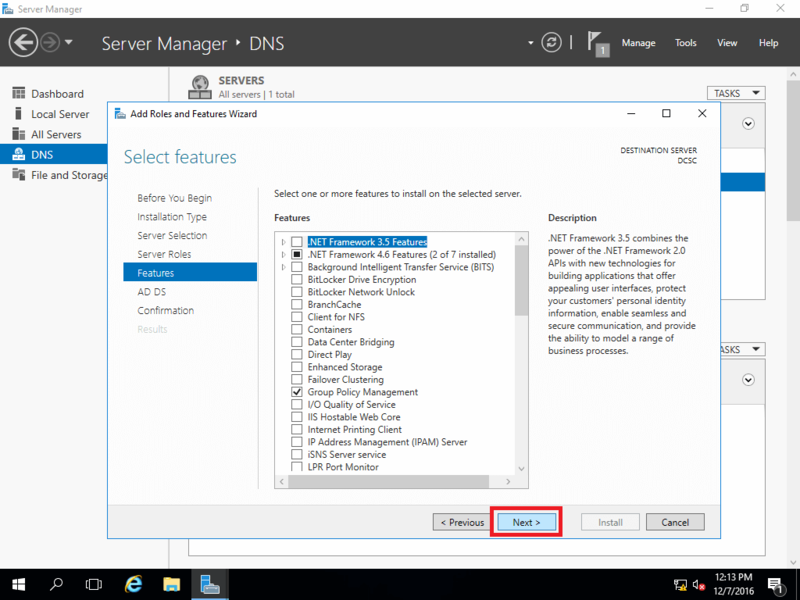 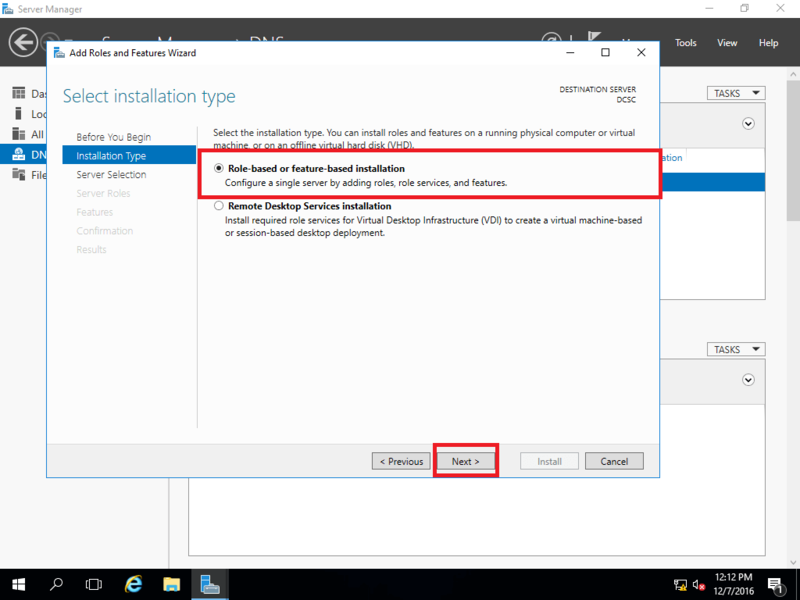 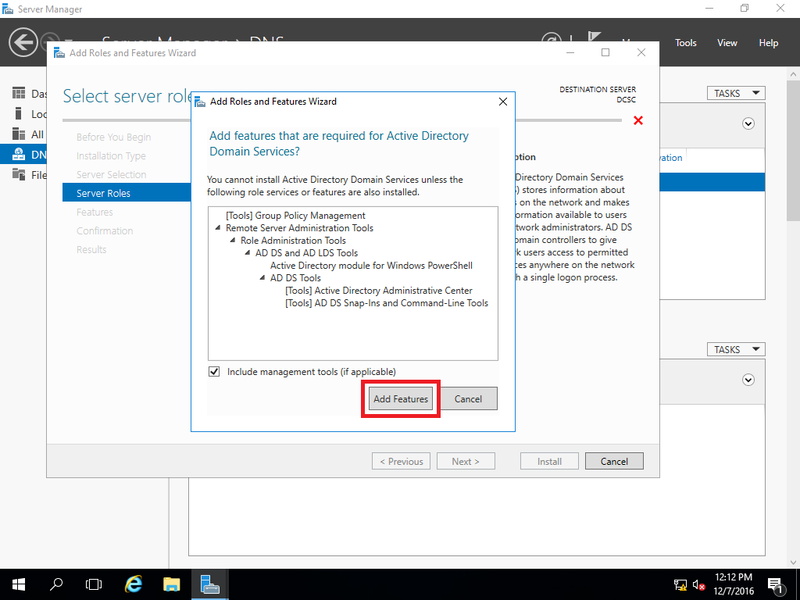 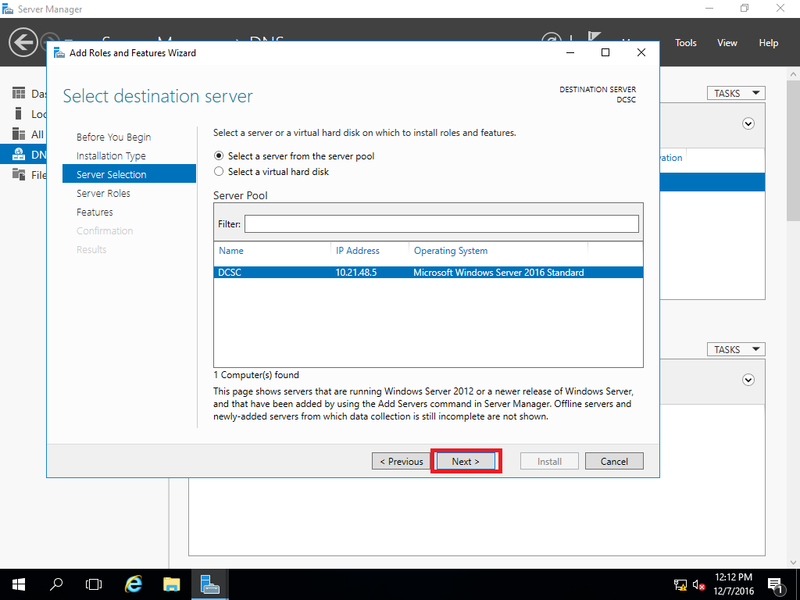 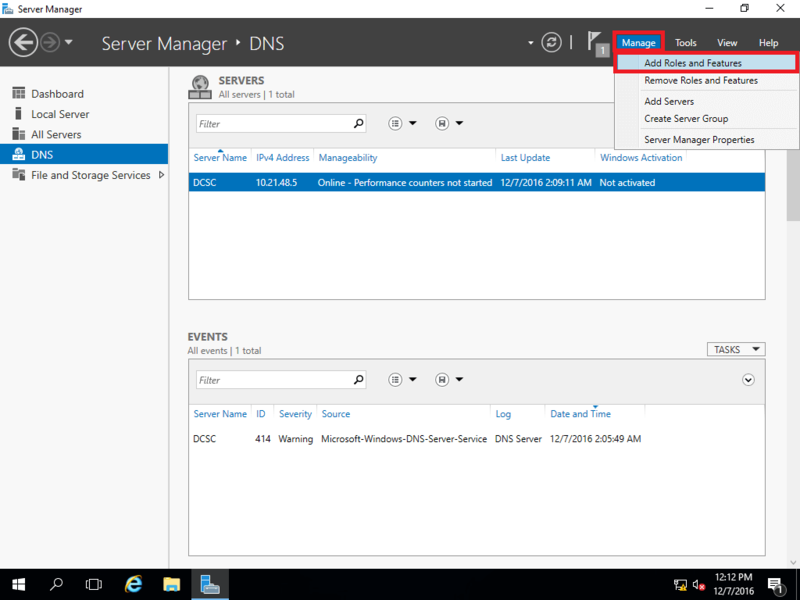 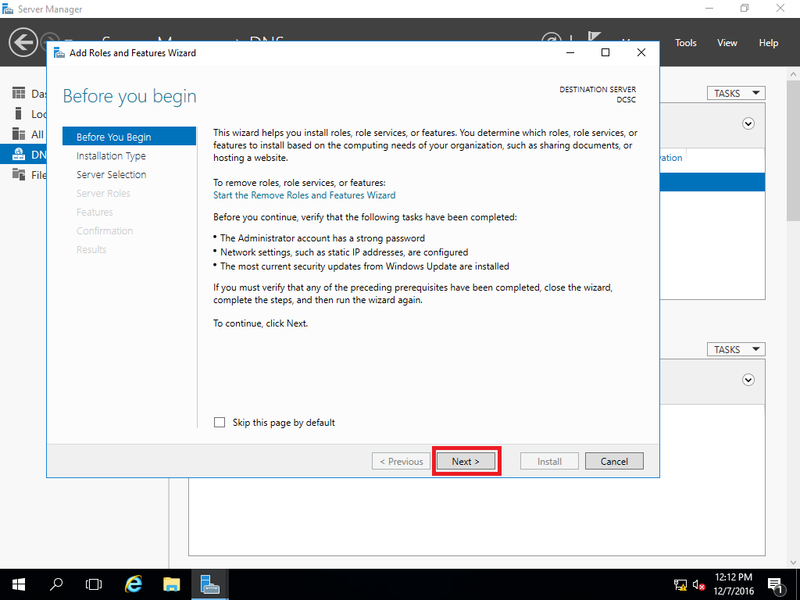 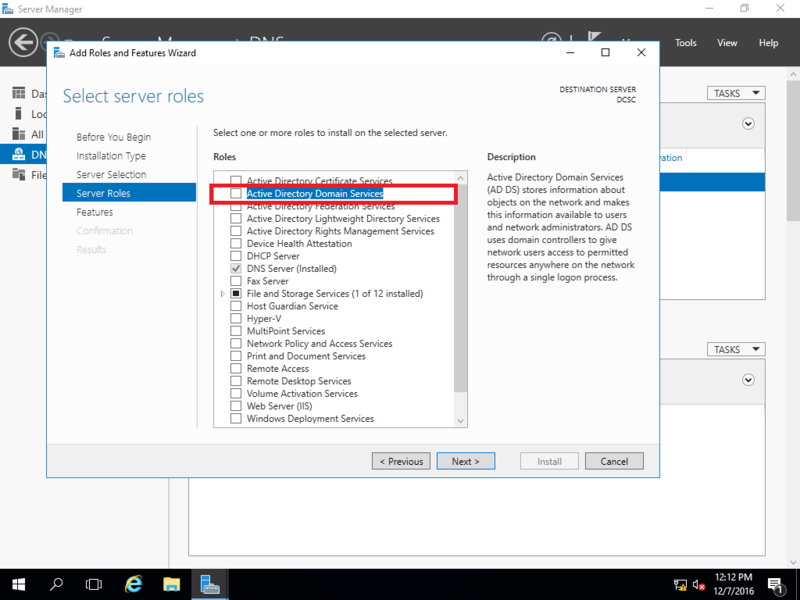 Install Active Directory role in Windows Server 2016 Part 1. 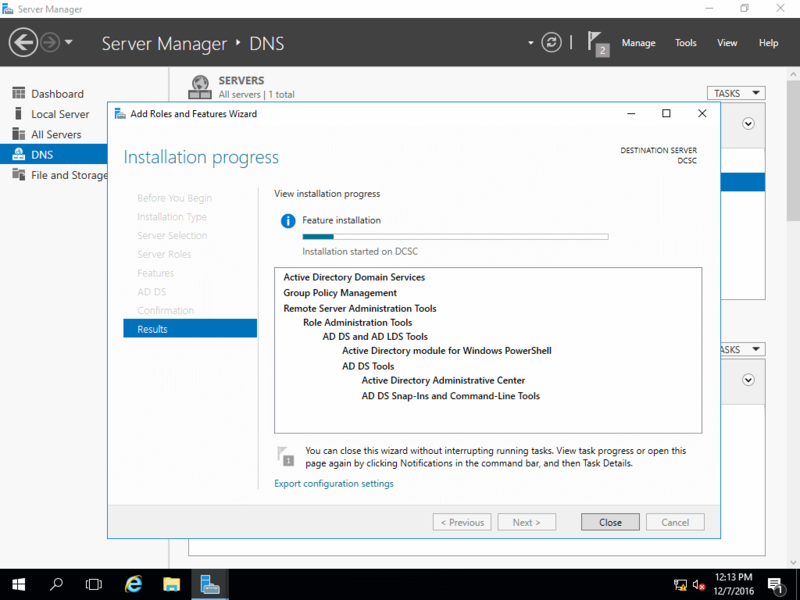 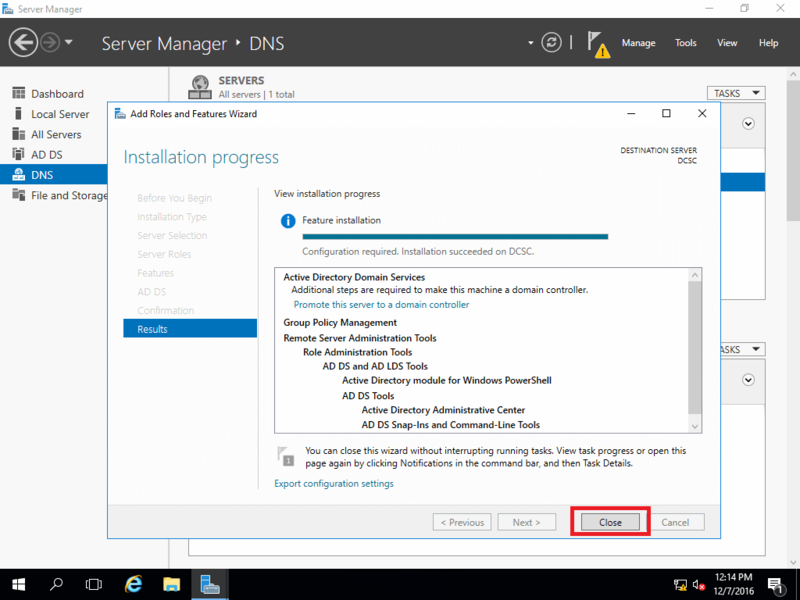 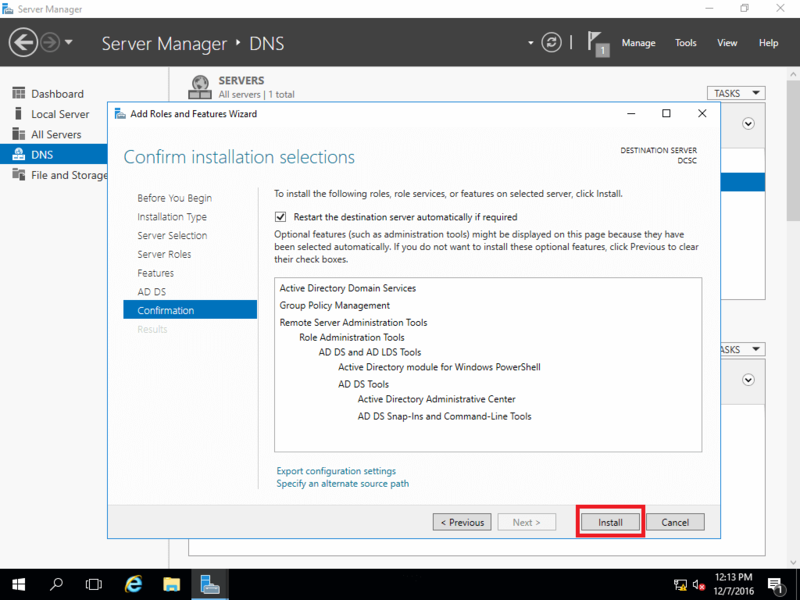 Let’s install Active Directory (AD) role in Windows Server 2016 (Standard) DCSC. 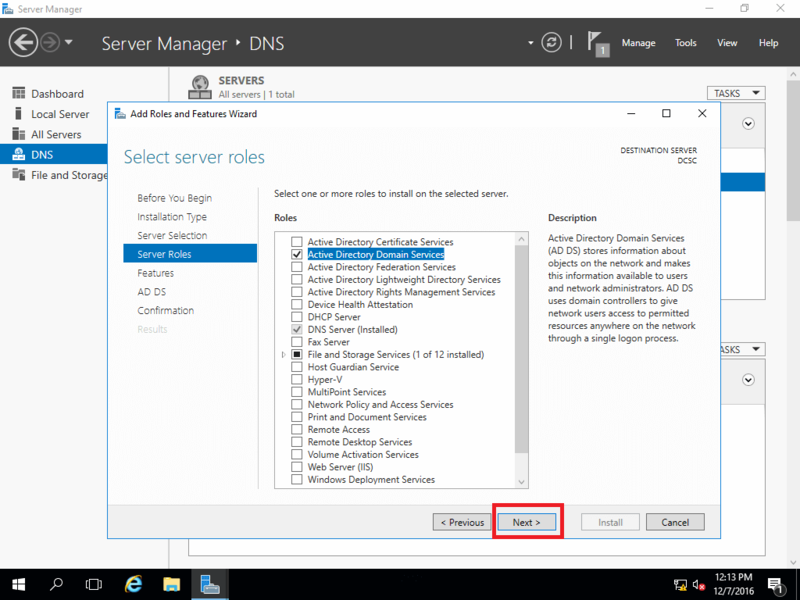 Before installing AD role, you must install DNS role. 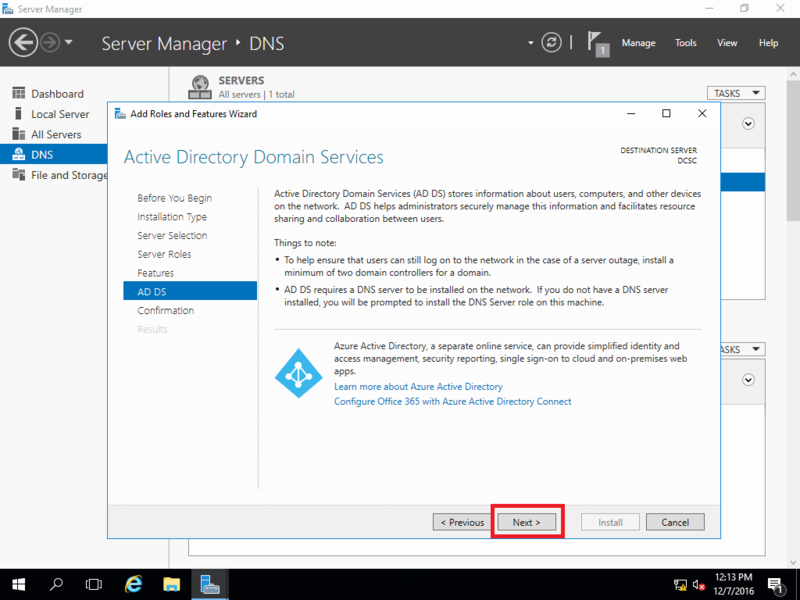 (DNS – required component for AD).